Did you know that cardamom is the world’s third costliest spices, after vanilla and saffron? Yes that true. Cardamom or Elaichi is commonly used in India and around the world. But did you that this queen of spices is very beneficial for our health? Cardamom is used in a number of remedies to cure various health condition like bad breath, acidity, heartburn, loss of appetite, constipation etc. There are a number of surprising benefits of cardamom or Elaichi that you may not be aware of and that’s what we are going to discuss in this post. India is the largest producer of Cardamom (Elaichi). The tiny green spice has black seeds which is fresh and highly aromatic in nature. Cardamom is widely used in cooking and to add flavor to the food and beverages. But you can chew just a couple of green cardamom, grind it with other spices to make paste or powder or use it as a whole. Primarily, there are two varieties of cardamom i.e. green cardamom (smaller in size) and black cardamom (comparatively bigger in size). The smaller one (Choti Elaichi) is the most popular and the costliest variety among all. As I said, cardamom is primarily used to enhance the flavor and aroma of foods and drinks. But it’s also used in a number of ayurvedic and Unani systems of medicines and remedies. Cardamom contains enough of manganese and phytonutrients and medicinal properties. There are a number of researches that suggests about various health benefits of cardamom in regulating blood pressure, diabetes, digestion, acidity, bad breath and other health disorders. Here are the most surprising health benefits of cardamom worth knowing about. Cardamom is rich in antioxidants and green cardamom and honey tea is considered to be very beneficial in curing normal cough and cold. Add a few cardamom seeds and about a tea spoon of honey into one and half cup of water. Now boil it for 5-7 minutes and your green cardamom honey tea is ready. Drink this tea to cure normal cough, cold and flu. Indigestion and other stomach issues like acidity, gas and constipation can be cured by chewing green cardamom. Chewing green cardamom after a heavy meal can boost digestion and help you get rid of other stomach issues. Chewing green cardamom, it boosts the secretion of certain enzymes that aids digestion. Probably this is the reason, why in India people eat cardamom after a heavy meal. Regularly eating cardamom helps clean the system. It helps flush out the toxins from the body and that will help you stay fit and healthy for longer. 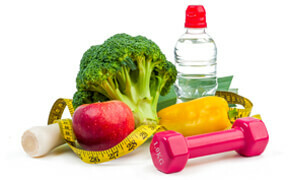 In order to stay healthy, you got to have a clean system and that’s what it helps with. In fact regularly eating small cardamom is considered to enhance the longevity in humans. Chewing cardamom can help you get rid of cavities and tooth decay. Cardamom has components which are good for oral hygiene and thus it benefits in a number of oral issues including bad breath, tooth decay and cavities. When you chew green cardamom, it aids secretion of cleansing saliva and thus it helps clean your teeth and get rid of cavities. As you know, cardamom are rich in antioxidants, researchers believe that helps regulate blood pressures. According to the research which was conducted on a group of 20 individual and concluded that it significantly decreased systolic, diastolic and mean blood pressure levels. The report also confirmed that consumption of just 3g of cardamom powder increased the fibrinolytic activity and there were no side effects during the course of trial that continued for 12 weeks. If you are diagnosed with high blood pressure, taking small amount of cardamom can seriously benefit you. Did you know that one tablespoon of grounded cardamom contains about 1.6mg of manganese, which covers about 80% of daily required percentage? Because of the high content of manganese, researchers believe that it should be consumed regularly by those having diabetes. Further research is on to conclude the effect of cardamom on diabetic patients, but there is no side effect of eating cardamom and it have positive impact on diabetic patients. This is a no brainer because we all know how refreshing the cardamoms are. Green cardamom has a very refreshing and aromatic taste. Cineole is a component which is found in cardamom oil, it has antimicrobial properties which is good for oral hygiene because it kills the bacteria that cause bad breath. If you are having bad breath issues, you should chew small cardamom to get rid of bad breath. Cardamom or Elaichi is also known as the queen of spices. This is among the third most expensive spices in the world and there are a number of benefits of eating cardamom or the elaichi. Right from refreshing the failover of your mouth to treating other health issues like hypertension, diabetes, indigestion, oral health, bad breath and other issues. Cardamom is easily available in most of the Indian kitchen. It’s used in cooking and drinks to make them refreshing. Eating a couple of cardamom after a meal can seriously boost your digestion, and probably that’s the reason why its is consumed after a heavy meal in India. Do you eat cardamom? 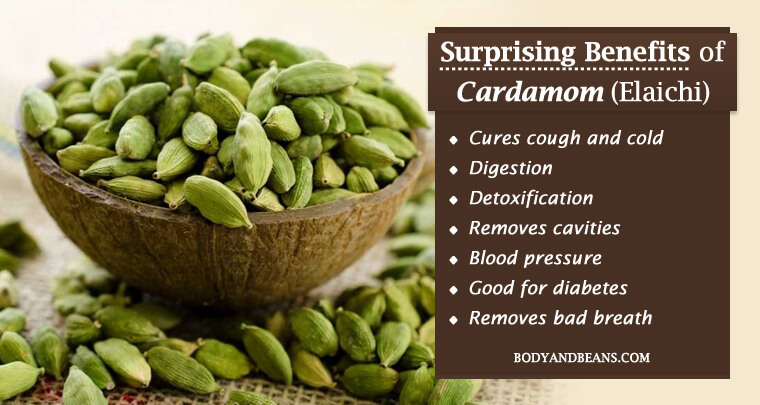 Which of the benefits of eating cardamom did you observe?